← How many people does it take to fix a puncture? 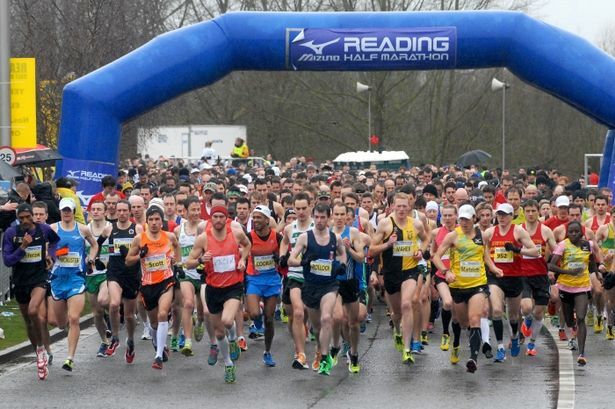 This entry was posted in Races and events and tagged Andover Triathlon Club, Madjeski Stadium, PB, Peter Whent, Reading Half, Reading Half Marathon, running, Spring Half marathon, triathlon. Bookmark the permalink. Congratulations on your PB! It sounds like it was a fun race anyway, and like you say a great medal worthy of the effort! It’s a toss up isn’t it between a big race, lots of crowd support and everything that goes with it vs small race with no queuing or messing about? Is there anywhere that does the best of both? Thank you Julie. You are right about small races versues big. 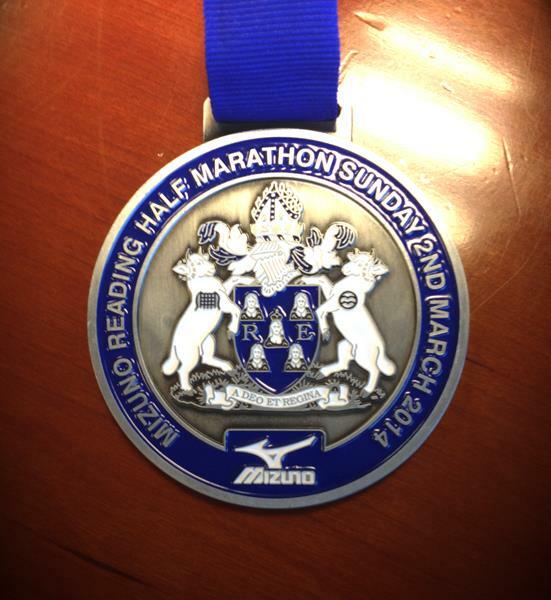 I ran the Salisbury Half in October with about 250 people and really enjoyed it. I would take some persuading to do Reading again. The best of both worlds is the London Marathon – 35,000 runners and world class logistics. I stood in a queue for my bag afterwards for less than 30 seconds. Congrats on the new PB Peter. Sounds like a great race even if the logistics were a bit off. I’m tossing up between reading and bath for next year! Silverstone is a good, well organised race, but it does lack the scenery! Thank you Bernie. 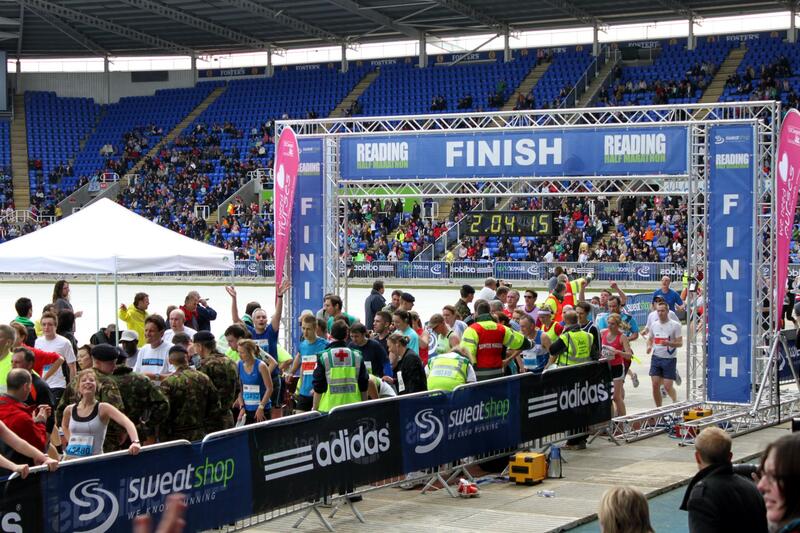 The race itself was very enjoyable. It’s a good course with great local support and a good atmosphere. If you try Reading next year, book early and try and get into the race car park. 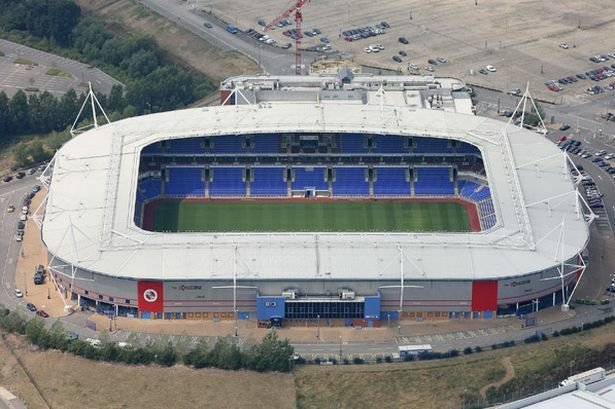 It is quite small and sells out quickly but it is near the start meaning you bypass the shuttle bus from Town (the stadium where the race is based is out of town) which is where the problems were. On a positive note, I look forward to reading about your day at Silverstone! But it could have been worse, I could have been overtaken by the guy with the fridge on his back! That would have been the ultimate insult. Great effort and great report. Well done on the pb! Congrats on the PB! Cracked up at your statement about somebody being in the process of getting the race spectacularly wrong!!!!! Well done on your new PB Peter! I’ve ummed and ahhed for a couple of years about Reading. I’m still not convinced based on the reports I’ve read, including yours, I’ve got to say!